Shame on me. For thirty-three-plus years I utilized my leadership positions for the Natural Resources Conservation Service (formerly Soil Conservation Service) to advocate for the protection of the top few inches of our precious topsoil. Arguably, I was pretty effective at prescribing a variety of conservation practices to achieve that goal, but for most of the entirety of my career I knew there was so much more potential. As an employee of the premier soils agency in the federal government I should have been better equipped to prescribe recipes for enhancing the entire soil profile. These recipes could have offered alternatives for ensuring a fully healthy soil profile, including controlling erosion of the surface layer. There are some legitimate reasons why I fell short. It has only been in fairly recent years that soil scientists have unlocked the mystery of the incredible biological activity that occurs under our feet. At the same time commercial fertilizer, herbicides, and insecticides have been the best-known and most cost-effective and efficient tools to increase and sustain yields. Any scientist prescribing a biological approach probably would have been quickly disregarded. Still, down deep I knew there was more I should have been doing to promote a healthy soil. Kristin Ohlson’s book The Soil Will Save Us is an easy-reading layman’s guide for improving the entire soil profile. It contains just enough of the complex science to ensure its credibility, but for the most part it presents the material in an easy-to-understand manner. 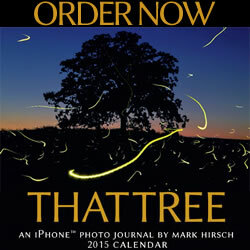 It paints a vivid picture in the reader’s mind of the complex biological communities that exist below our feet. For the first time I believe I can describe this amazing activity. We all have a basic understanding of photosynthesis, with plants extracting carbon dioxide from the air through holes (stomata) in the leaves and then, within the plant, ripping apart the molecules to release oxygen, while retaining the carbon for sugars that feed the plant. Below ground, the plants roots are wrapped with fungi that actually puncture the roots to allow for the exchange of carbon sugars for necessary nutrients. Close by the fungi are bacteria that devour the available carbon sugars like a pie-eating contest. While feasting on the carbon sugars, the bacteria also solubilize sand, silt, and clays, releasing the nutrients necessary for healthy plant growth. The bacteria exude a substance that allows soil particles to stick together, thereby building the soil aggregates that are so important for creating pore space for water and oxygen retention in the soil. Ohlson does a great job of describing this amazing factory that operates 24/7 above and below ground. While fungi and bacteria are two of the most important creatures, there are many other integral forms of life working in the factory, including protozoa, nematodes, and micro arthropods, as well as the more commonly known earthworms, beetles, voles, etc. Scientists have determined that in one teaspoon of healthy soil there are well over a billion of these organisms working in a mutual partnership. The book describes how these biological functions operate despite man’s best unintended efforts to disrupt these close-knit communities. We have pounded and pulverized the soil with heavy equipment that threatens the aggregate structure, resulting in compaction that squeezes life out of the soil. The microorganisms adsorb great losses from the toxic application of fertilizers, herbicides, and insecticides. Yet despite these setbacks, the biological activity continues, albeit better under some farming systems than others. Ohlson paints a picture of how much better everything can be if we learn to work with the biological activity versus against it. She shares the innovative work of a group of farmers in North Dakota who are learning the benefits of nurturing this underground community. They are growing traditional commodity crops within multispecies cover crops, achieving record yields while minimizing or in some cases eliminating the need for fertilizer and pesticides. By keeping actively growing plants on the surface nearly year-round they are fueling the biological community rather than unintentionally working against it. I fully understand the majority of farmers may not be ready to make that leap, but there is so much more that can be done to enhance biological activity in the soil, i.e., no-till, crop residue management, crop rotations, minimized compaction, limited/targeted chemical application, etc. In NRCS we called that progressive planning—helping farmers taking steps to improve their natural resources at a pace that fits their comfort level. Ohlson describes an important fringe benefit to this agricultural system. By enhancing the biological factory, substantially more carbon is removed from the atmosphere, thus agriculture can become a major positive player in carbon sequestration versus currently being an overall carbon dioxide contributor. I hesitate even mentioning this aspect of the equation because of the strong feelings some have about carbon sequestration. If we keep the focus on utilizing sound science to achieve maximum economic yield by accomplishing significant improvements in soil quality, then carbon benefits will come along for the ride. 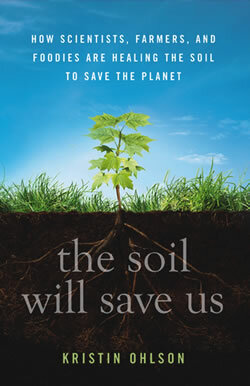 The Soil Will Save Us is a must-read for anyone who wants to better understand the biological processes going on below ground. I guarantee a much greater appreciation for what it takes to achieve a fully functioning healthy soil. In fact, after reading this book, I am almost certain the reader will step a little more lightly on the soil, knowing the tremendous variety and quantity of life below our feet. Those critters will respond like the most loyal family pet if we just remember to provide them a food source and a little tender loving care every day instead of just seven months out of the year. I will forever be proud of the work I did to help farmers and ranchers conserve their soil and related natural resources, but I am disappointed that I did not do more to better un­der­stand the biological processes of a healthy soil so that I could have helped land users better address the entire soil profile. Ohlson’s book and the advances in soil science are positioning us now to where there are no acceptable excuses. I just hope my former comrades will do a better job than I did of conveying this sound science. Kristin Ohlson’s website is www.kristinohlson.com.